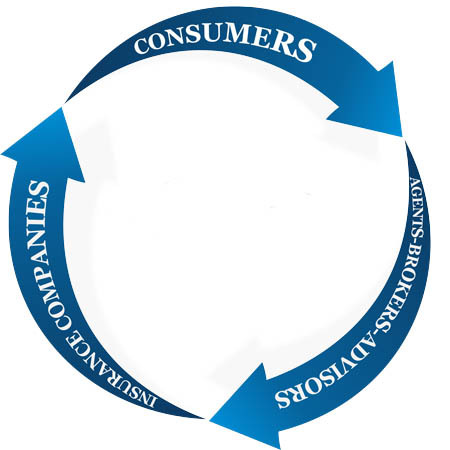 Our mission is to give every consumer in America a free analysis of their insurance company. For the first time, consumers have the power of big-data analytics available. Finally, consumers can know what’s good and what’s bad about their insurance company. The result of our service is that consumers have the ability to save money, buy better protection and get the best service. 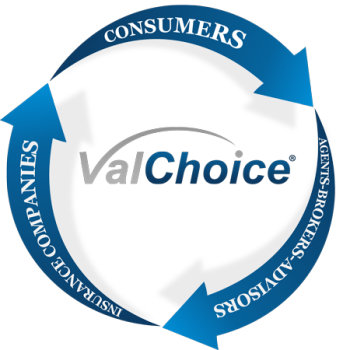 ValChoice applies advanced information technology, sophisticated quantitative analysis and data mining to calculate the value of the insurance you buy. Most importantly, our analysis is easy-to-understand. We show how good every insurance company is using a fuel-gauge-style image. For the first time ever, every consumer of insurance can know if the company they are buying insurance from is charging a fair price for the protection and service they deliver. This mission is the result of many years of competing in hyper-competitive, high-technology markets. High-technology markets rapidly adopt new technology and new processes in order to reduce operating costs and improve customer satisfaction. The benefit of transparency and easy-to-understand analytics is proven in many markets. Finally, consumers of insurance have these powerful shopping tools available, too. We’re independent and unbiased. That makes us a unique, trusted source of information about insurance companies.